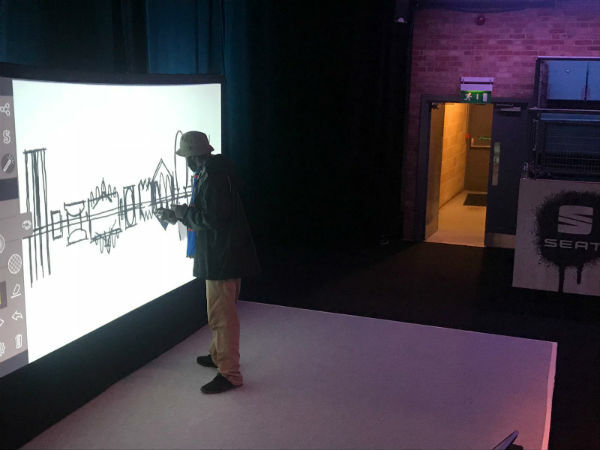 Make your event a whirlwind of creativity and colour and hire a digital graffiti wall to draw in the crowds and give them a go at creating a masterpiece. 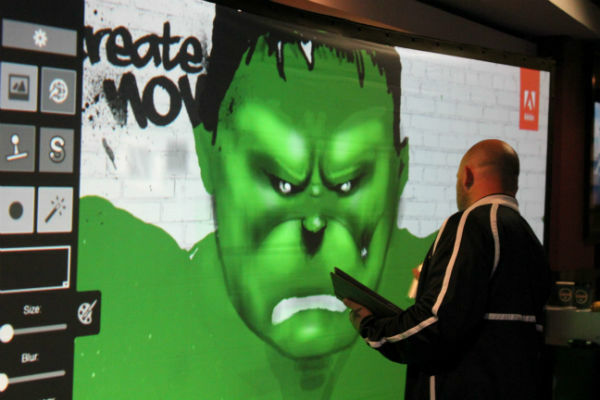 The digital graffiti wall uses leading technology to transform real aerosols into interactive spray paint cans, so it will be even more realistic for your guests. The digital graffiti wall will be a hit at any event as guests will explore their creative side with completely digitalised graffiti that they can share online to show off their fantastic works of art. In turn this helps you promote your brand, as their graffiti canvas can be customised to include your company logo or slogan on all the results. There is also the opportunity to print off the graffiti live at the event, whether its on a bag, mug, phone or sticker, your guests will be able to take a memento of their creation home with them. 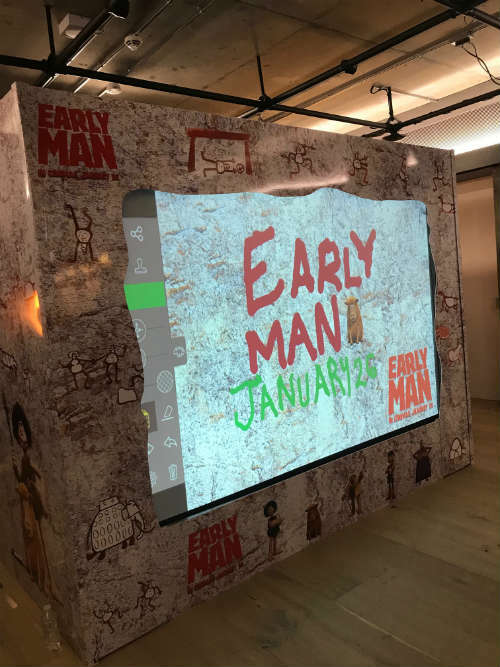 You can also use the popularity of the digital graffiti wall to help promote your brand, maybe putting your logo on the screen which people can add colour to or encouraging guests to come up with their own design. The opportunity to print off the results live at the event also means that if they like what they have created they can print their design or logo off on either clothing or a keyring that they can keep. 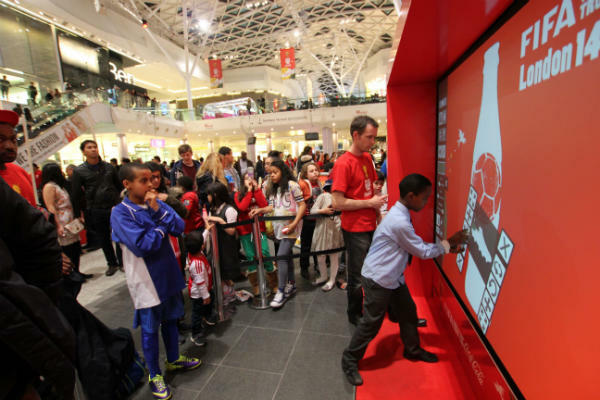 Three Metre digital graffiti wall– The largest option, this screen leaves even more space for people to create and the bigger size will help attract the crowds to try it out. 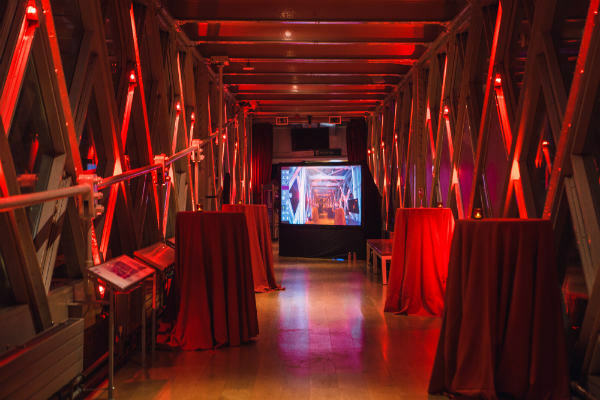 Two Metre digital graffiti wall – This wall is great if you’re having a more intimate event in a slightly small venue., It takes up less space but there is still plenty of room to be creative. 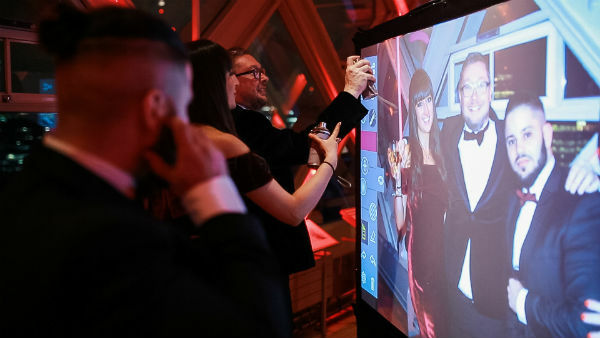 Boxed – A solid box of screens that gives guests the maximum space to make their mark, with people being able to draw on all the different sides. The box is great for branding and promotion and will be a vibrant installation. 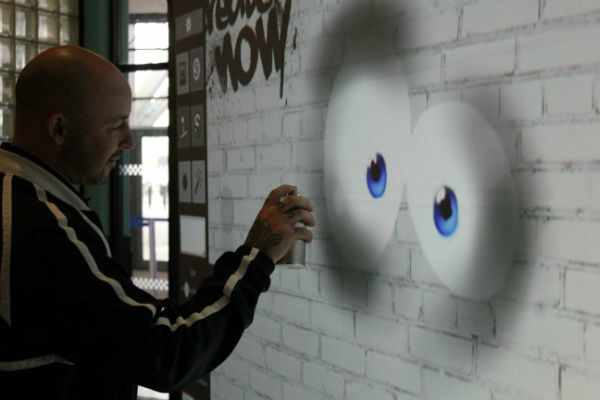 The main advantage of booking a digital graffiti wall is its ability to engage guests, providing them with a fun experience that they can get creative and experiment with. It is especially a great addition at events such as exhibitions or trade shows, featuring the graffiti wall will incite curiosity in people and encourage them to wander over after seeing the bright colours and hearing the spray can in action. To really delve into the world of graffiti you can even have the choice of booking someone in to teach your guests and enlighten them on the techniques and skills involved in the art such as cutting, layering and colour. There is also the option of adding templates for effective results or choosing photo booth mode, so guests can have a photo taken then edit on screen to add colourful backgrounds, stickers, stencils or emojis to make it even more vibrant. Or, if you are looking to get some feedback on your event while it’s happening you can use the digital graffiti wall as a platform for people to give their opinions, whether its spraying a star rating, giving their views on a speaker or performer or even reviewing their experience. The digital graffiti wall is an engaging and fresh way to get feedback while keeping it fun.